We meet all restaurant needs. 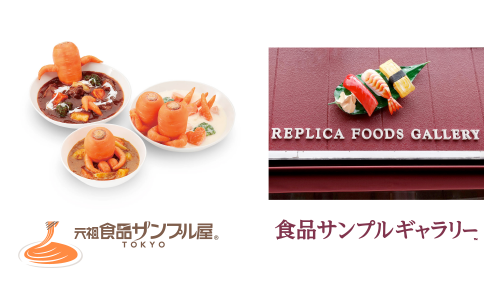 The mission of replica foods is to aid in increasing shop sales. Please make use of replica foods as a ‘messaging tool’ to attract customers. Our products give a sense of season, cleanliness, presence and fun. the character of your shop. The 6 roles of replica foods create a variety of advantages! Replica foods are thought to have been invented in the 1920s. Later, as department store restaurants became more common, replica foods spread all throughout Japan, and the distinctively Japanese style and culture of restaurant fronts displaying a case of replica foods was born. This unique technology and culture, which developed in Japan, has been carried on by replica food creation technicians that possess advanced skills and know-how, and it is attracting attention from all over the world. Iwasaki Be-I, which marks its 86th anniversary this yeear, is the leading company in the field of replica foods with the highest market share in the industry.